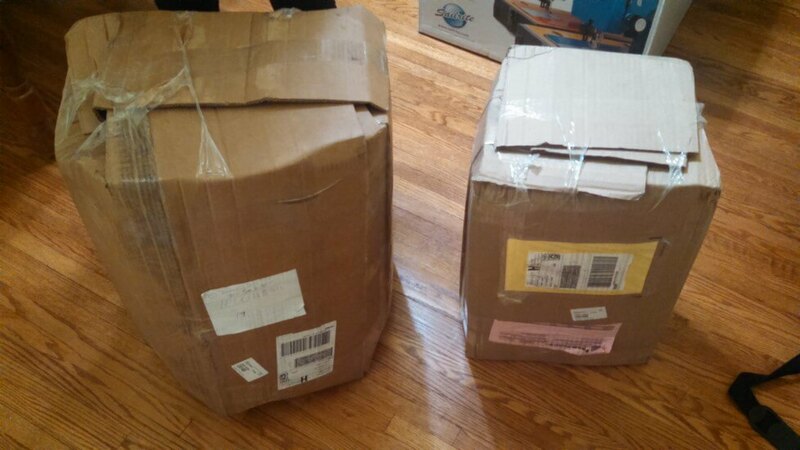 I have had a few requests to post more information about the Open Cell Dry-Fast Foam order that I placed with Foam Factory (www.foambymail.com). 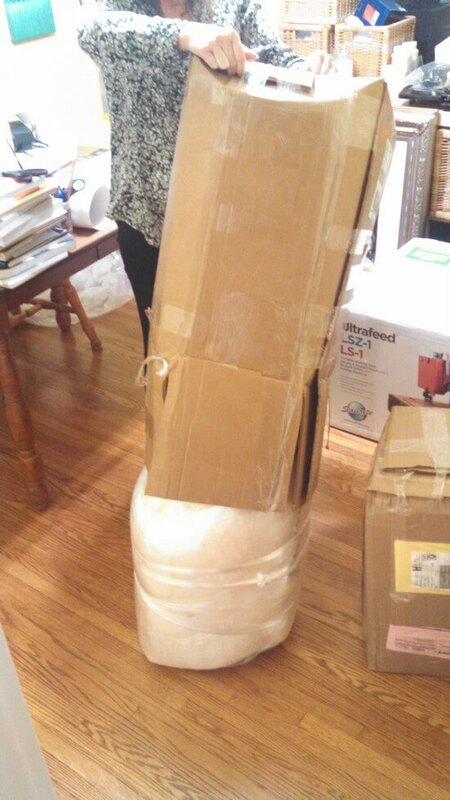 I am happy to report that the foam arrived on schedule, five days after I placed the order. 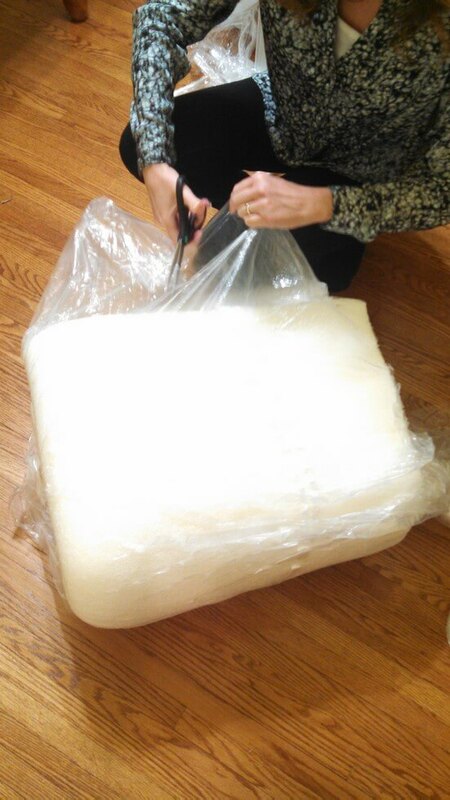 Each piece came wrapped in plastic, in vacuum-sealed bags, which allowed the foam to be shipped in much more compact packages. 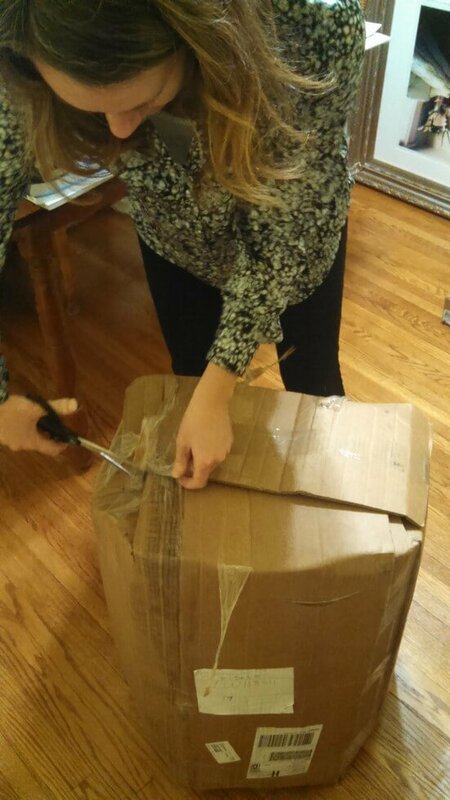 Freeing the foam from the cardboard – yes, that is our new Sailrite machine, still in the box, behind me! A few ladies on Women Who Sail warned me not to buy from Foam Factory, due to their experiences with the company. After doing some research on foam prices online, and seeing the deep discount that they were able to offer, I decided to take my chances. Another factor that helped eased my concerns was the fact that I planned to buy sheets of foam, which I will cut to size, rather than custom cut sizes. 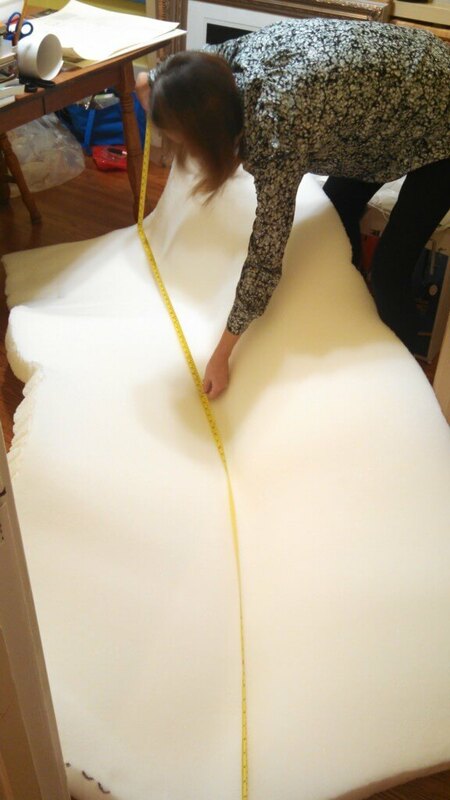 It seems like those who had the most trouble with Foam Factory had received poorly cut or improperly sized custom work. 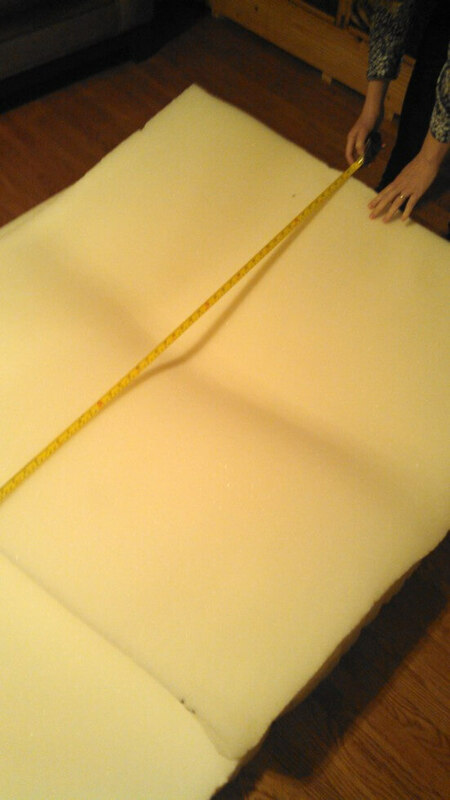 Immediately after opening the packages I measured the foam, finding it about 4 inches shorter than expected. However, the website says to allow the foam to breathe for a couple of days, in which time the foam should expand to its regular size. The site also provides a chart with “dimensional tolerances” for foam cuttings, stating a + or – 2″ length/width and + or – 1/4″ thickness. 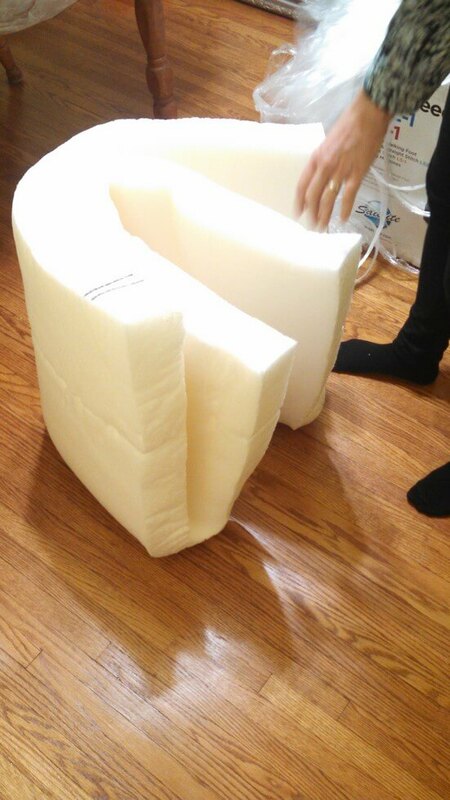 I will post again when I begin to cut the foam and let you know if the foam “grew” to within the company’s dimensional tolerances. 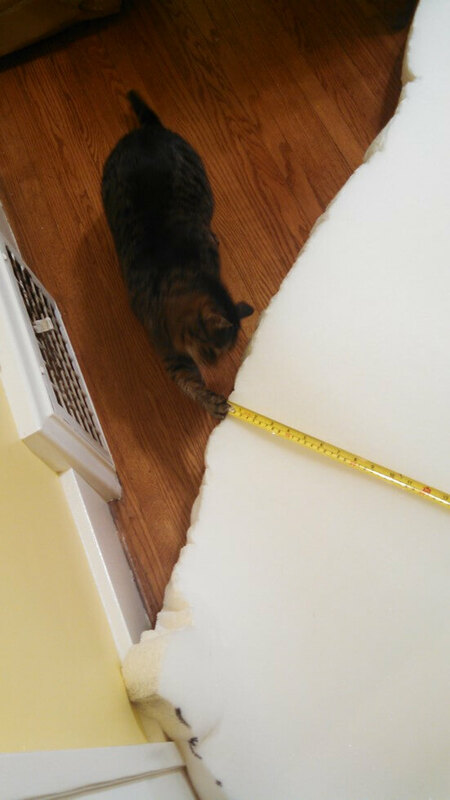 I should mention that I am not too concerned as I ordered these two sheets with plenty of extra room for cutting, knowing that the edges might be rough. The ILD number is about 60 for this DryFast foam, can you tell me if that is too hard for the mattress cushions in the v-berth. I know that is a subjective answer but if they are hard as a rock I need to look elsewhere. SailRite sells a 35 ILD DryFast foam, but that will bust my budget…. any other suppliers that have DryFast foam not as firm?